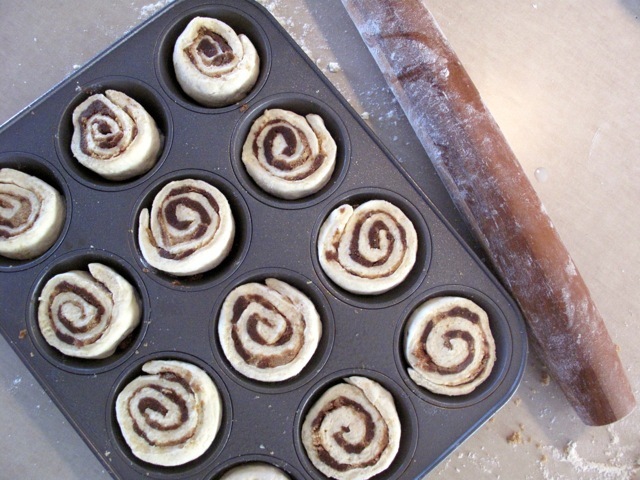 cinnamon buns are a christmas morning tradition in my family. as we all trickled out of bed on december 25th, my mom would greet us with a heavenly waft of cinnamon and a big cup of tea to fuel us through present opening. so naturally, when steph asked if she could share her childhood cinnamon bun recipe, i was more than happy to oblige. stephanie is an amazing cook. everything she touches is just so much more delicious than the same recipe made by someone else. 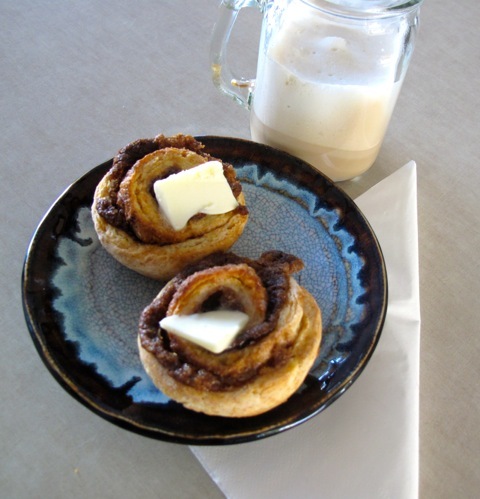 her mom, janice (or 'nana j' as finn calls her) is also totally top notch in the kitchen (likely where steph got a bit of her magic from...) so without having actually tried these cinnamon rolls, i can wholeheartedly promise you that they will be divine! and the perfect addition to our christmas morning this year. in large bowl, mix together flour, sugar, baking powder and salt. using pastry blender or 2 knives, cut in butter until mixture resembles coarse crumbs. pour in milk, stirring lightly with fork, and adding a little more milk if needed to make dough soft. turn out onto lightly floured surface; knead gently 8 to 10 times. roll into 12x8 inch rectangle. in bowl, mix together butter, brown sugar and cinnamon. drop 1 tsp into each of the 12 greased muffin cups. spread remaining mixture over dough rectangle. sprinkle raisins or currants over top (if using); roll up, jelly roll style, from long side. cut into 12 equal slices and place in muffin cups. put baking sheet on oven rack below muffin cups to catch any drips. 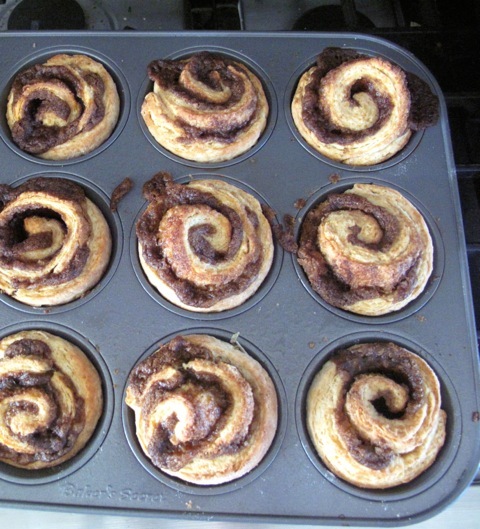 bake until golden brown and cinnamon filling is bubbling, about 20 minutes. turn out immediately onto heatproof tray and serve warm. for a little something extra, top with an easy creamcheese icing or a dollop of butter- you cant go wrong with these delicious rolls. 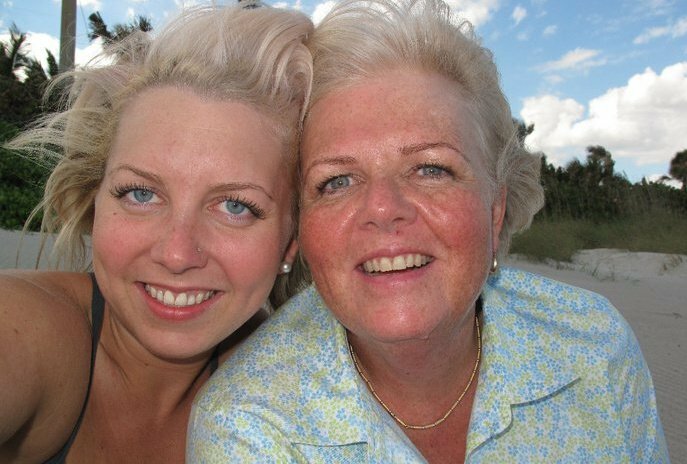 steph and her mama, janice.